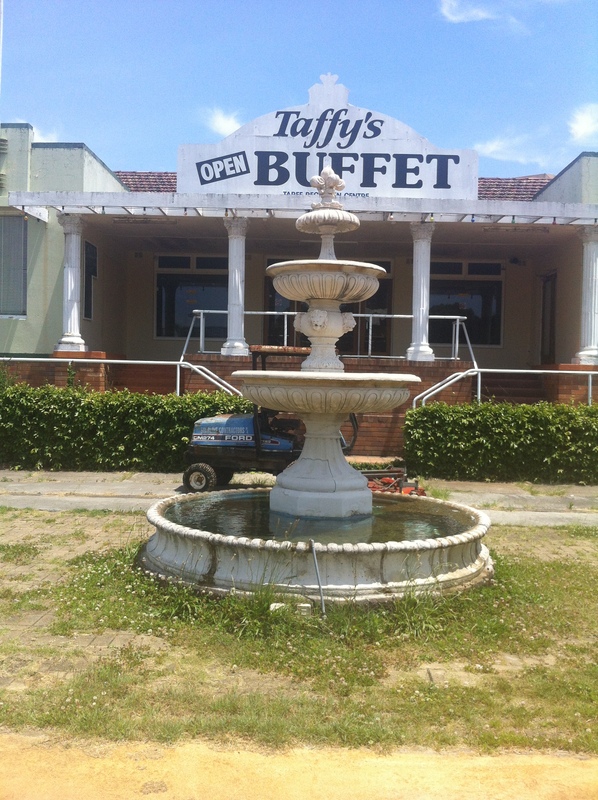 Beneath the relentlessly harsh Taree sun, Taffy’s Buffet & Pizza bakes both inside and out. 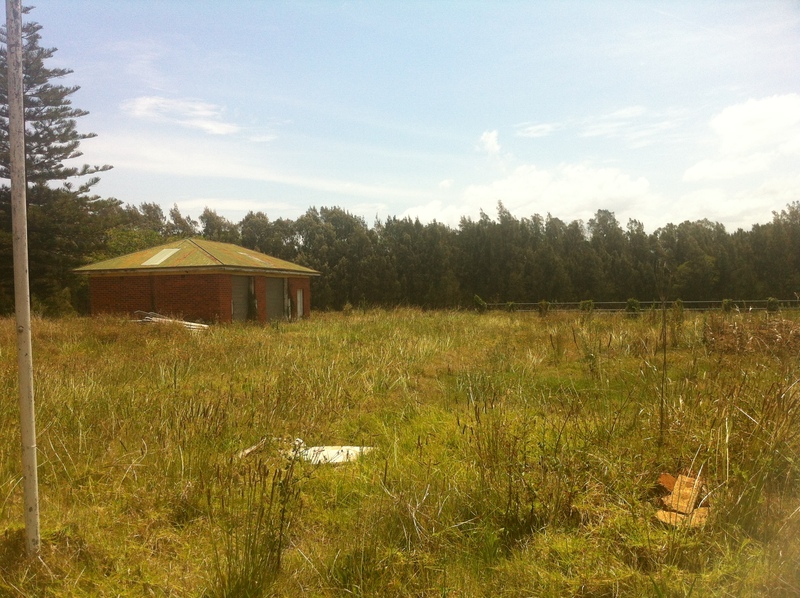 Across the spacious grounds, the scruffy, receding grass is beginning to brown as another long, hot summer approaches. 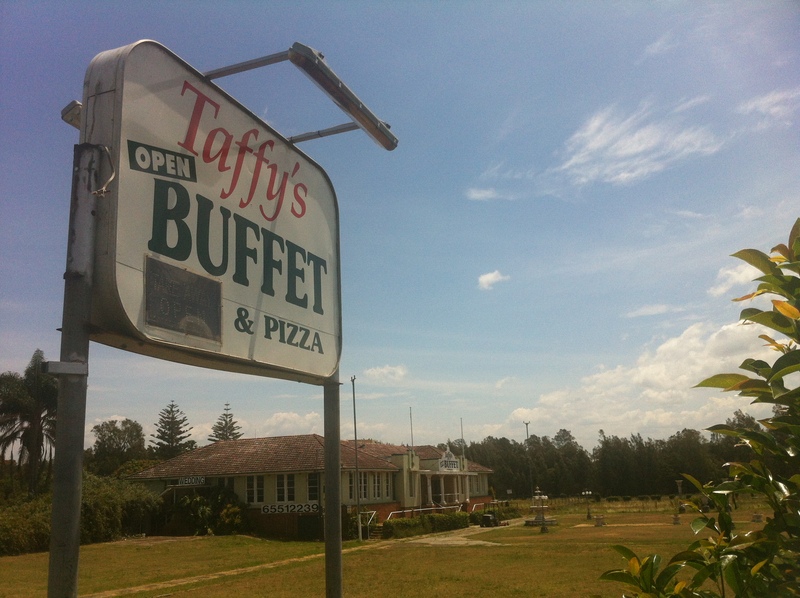 As the prominent ‘For Sale’ sign says, the ground covered by Taffy’s is huge – too huge for just a pizza buffet. At the same time, the building seems a little…ornate for such a place, doesn’t it? 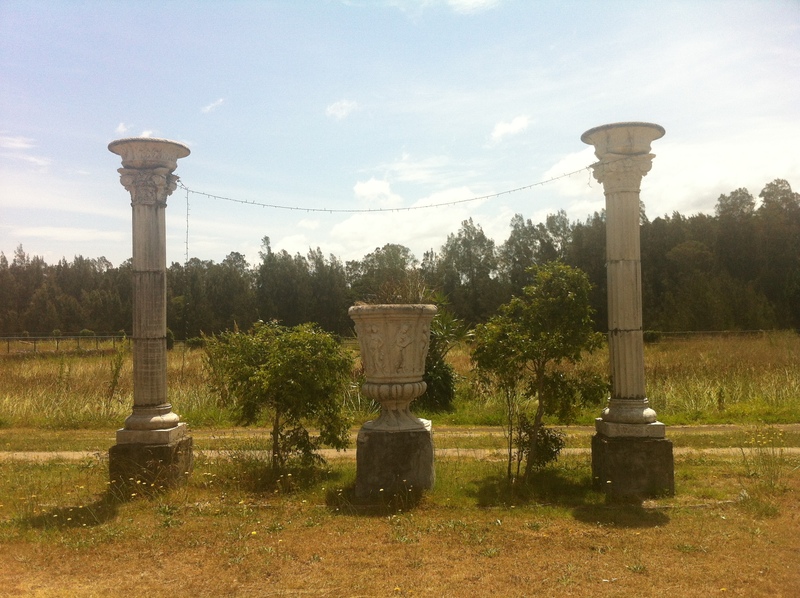 As I approached, I was sure the place was abandoned, long since closed. Despite all the signs to the contrary, the wide open spaces and peculiar, yet familiar architectural style weren’t immediately inviting to potential all-you-can-eaters. 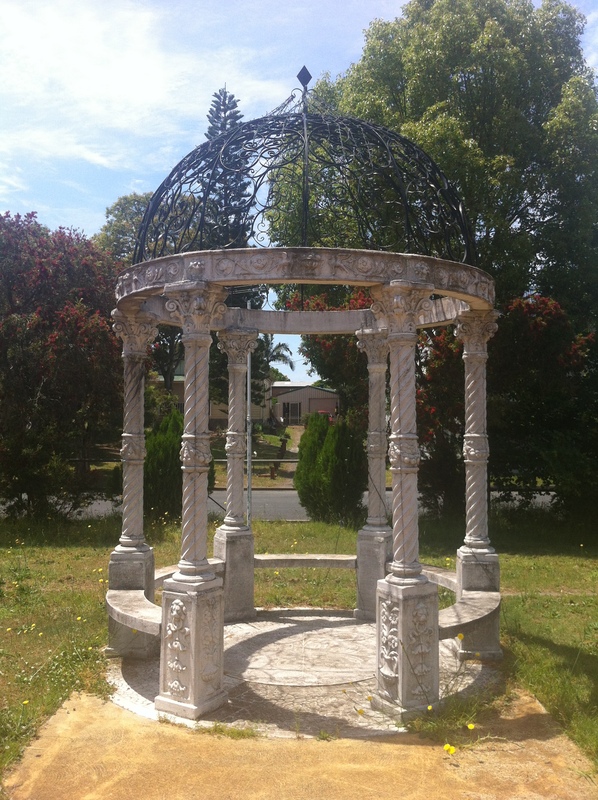 …this sterile Flower Power gazebo, there was an air of pretension about the setup. Did Taffy expect enamoured couples to wind up their evenings strolling through her garden after a buffet pizza dinner, culminating in a romantic rendezvous in the gazebo? And then years later reminisce about that unforgettable evening in Taffy’s gazebo? And I don’t even know what this is meant to represent. 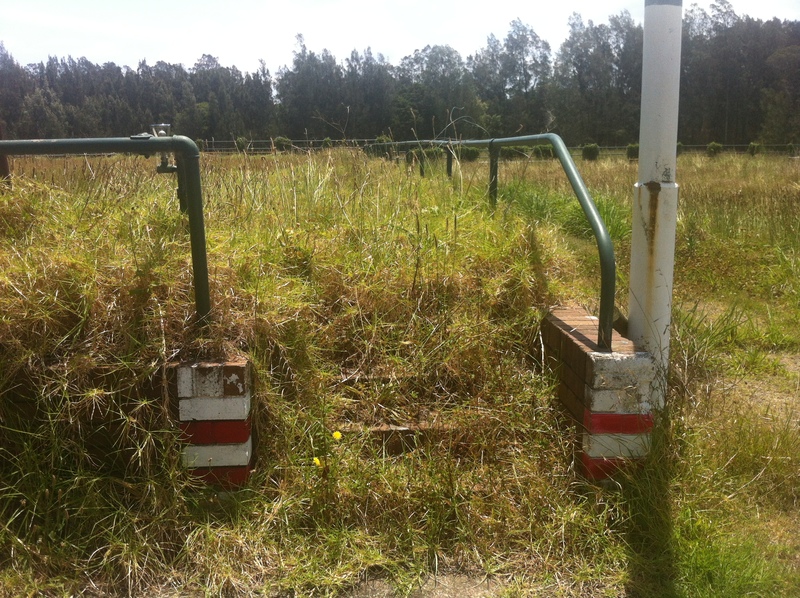 If there’s an opposite to the Pearly Gates, it would look like this. 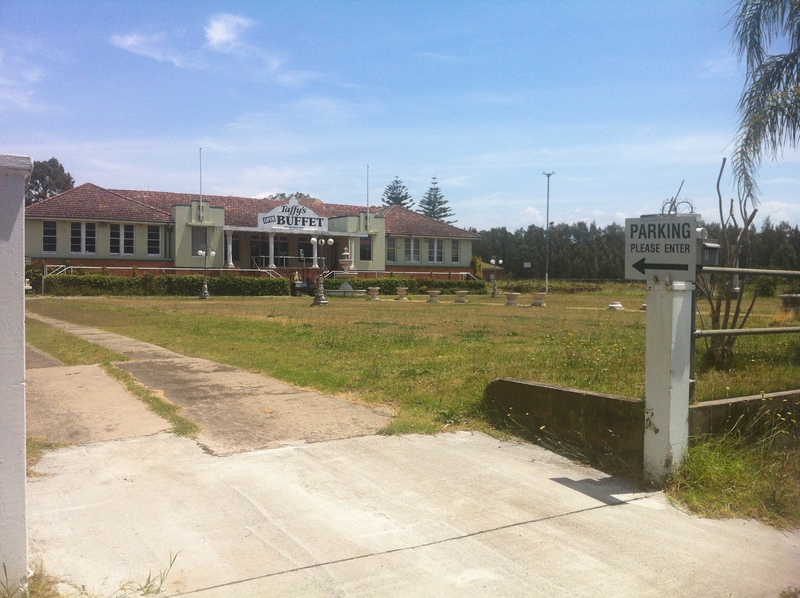 From 1954 to the early 2000s, this site served as Taree City Bowling Club, providing the Manning’s elderly with a place to form rinks and chuck balls around. Whatever keeps them off the streets, I guess. 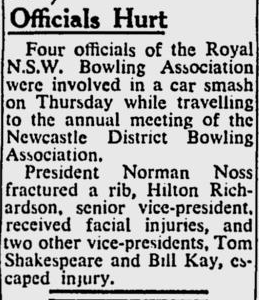 We can laugh now, but once upon a time lawn bowls were considered an important sport, with opinions ranging from “whatever keeps them off the streets” to this hyperbolic article from 1952. Methinks Mr. Dent was trying just a bit too hard to justify his title. And excuse me for sounding cynical, but does anyone really believe that lawn bowls is a game free from “sullen anger and distrust”? When I hear those words, white-suited old folks targeting jacks is the first image that comes to mind. 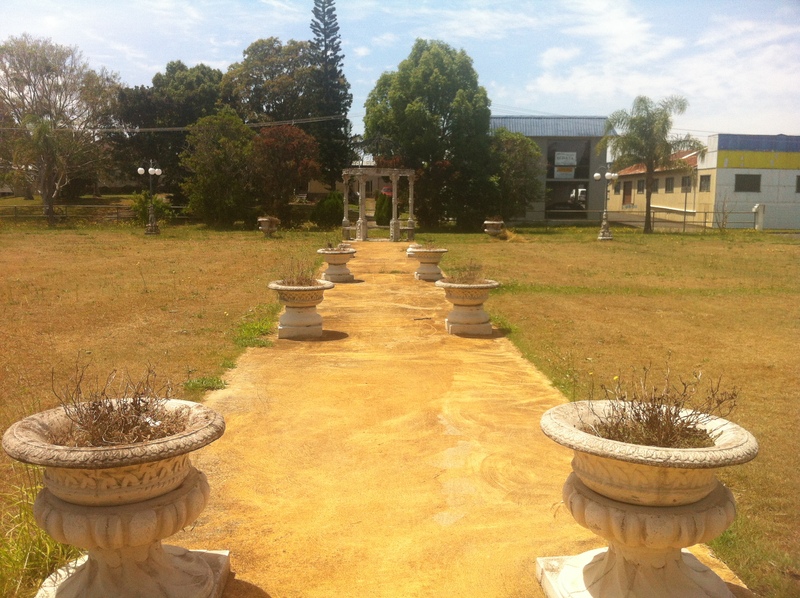 For having gone to such lengths to sculpt the front garden into something atmospheric, it was surprising that no such care had been extended to the former bowls greens. 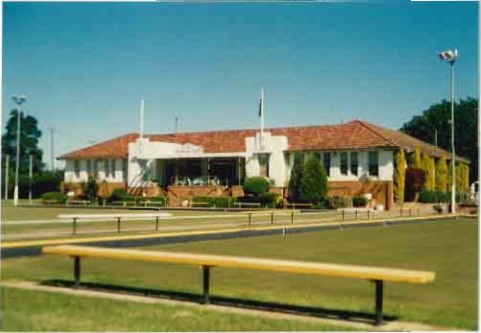 A 1990 heritage study of the then-active club recommended that future tenants “maintain greens, lawns and gardens”. Whoops. 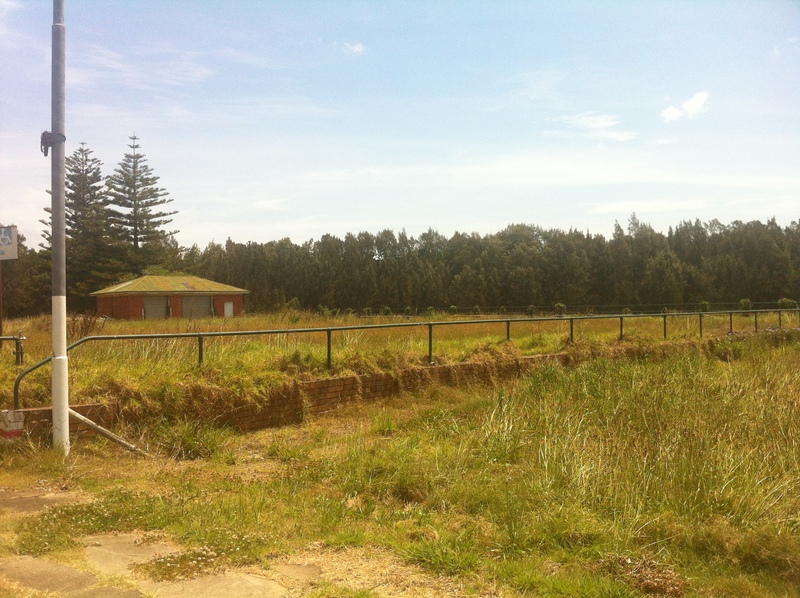 Overgrown and neglected, only the bare bones remain of what would once have been a vibrant, active sporting field. 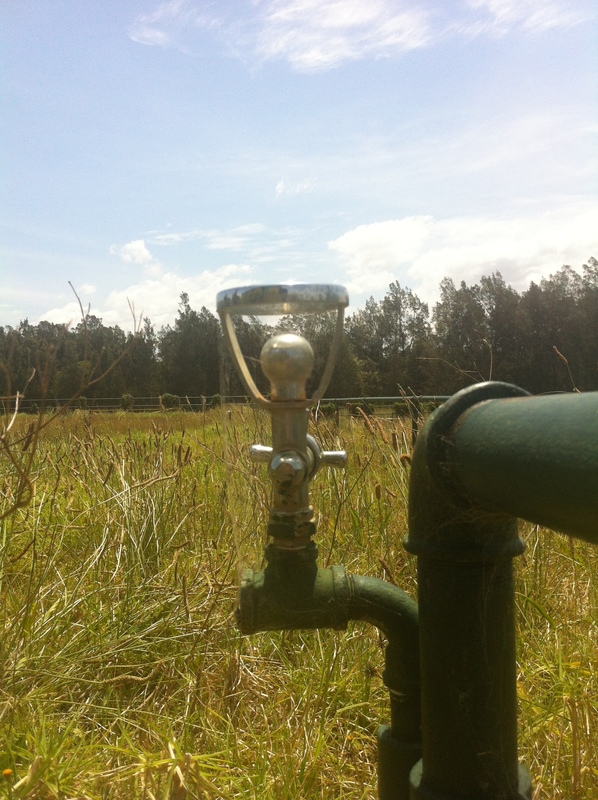 Think of all the whistles that would have been wet by this over the years. 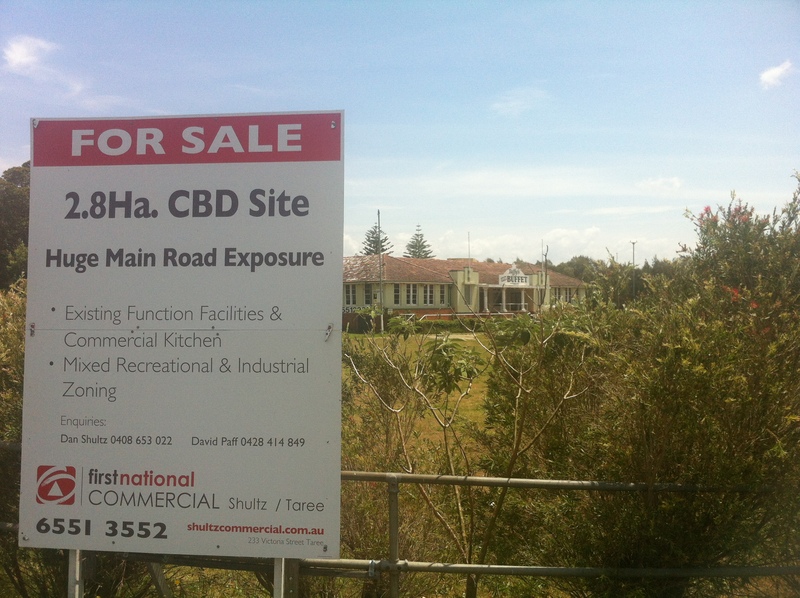 Back at Taffy’s, all the bowls club hallmarks started to become apparent. 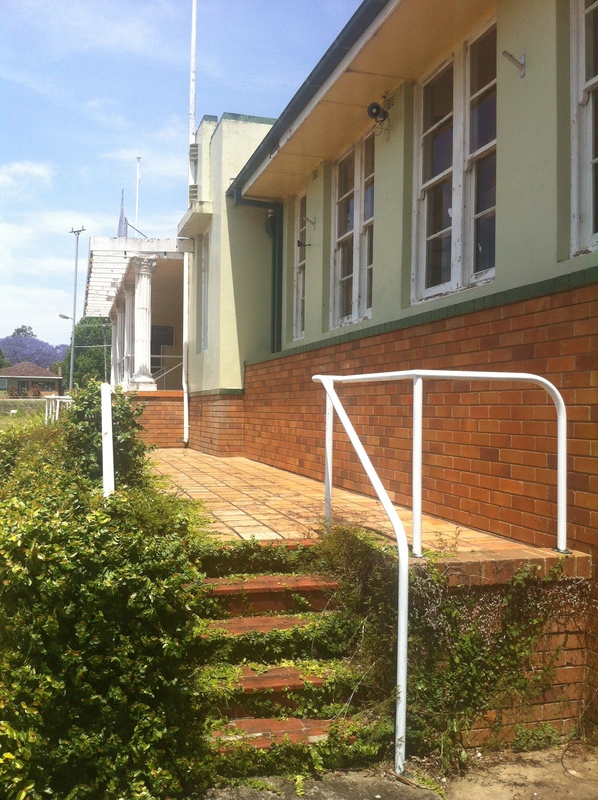 The handrails for frail skippers was evidence enough, but I know my readers – always demanding more. 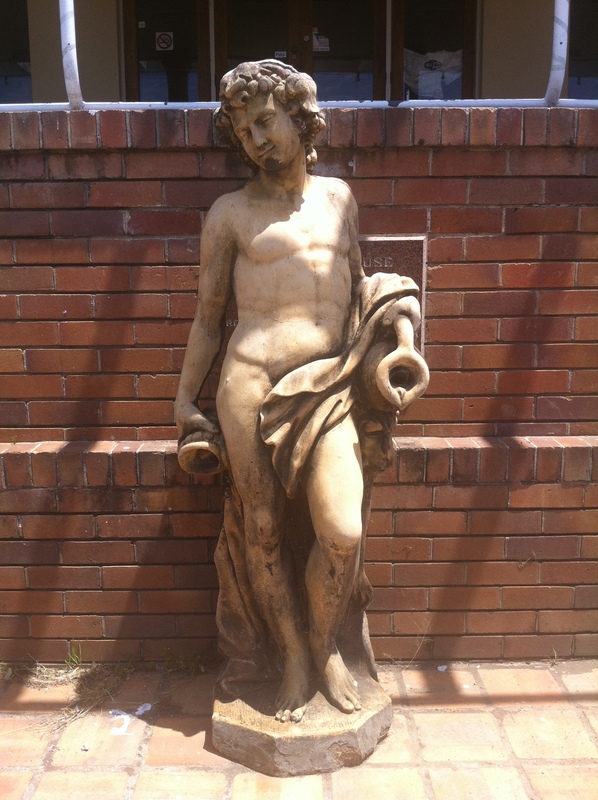 The placement of this tasteless statue seemed a bit too…deliberate. Let’s go in for the closer look I know you’re gagging to get! If I were police, I’d be looking closely at Tom Shakespeare and Bill Kay’s movements leading up to that car trip. Wouldn’t it have been convenient had both the president and senior vice-president not survived that crash? 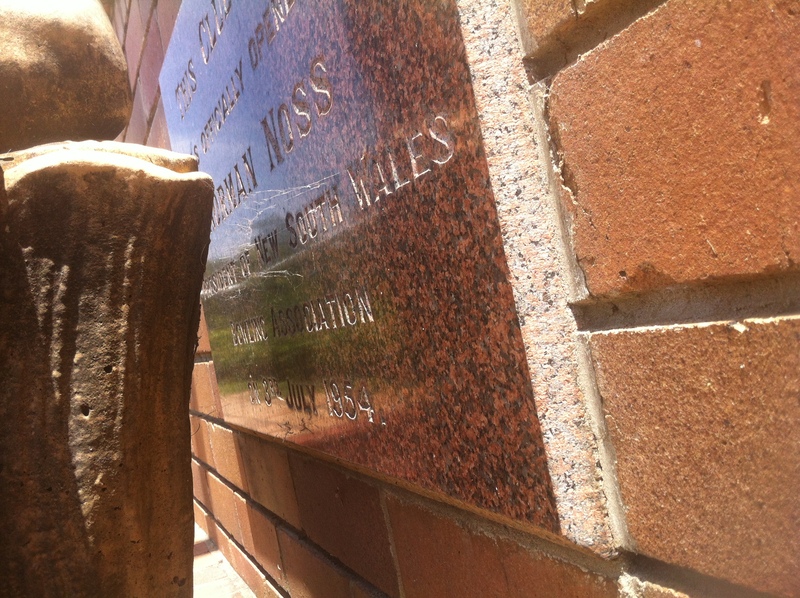 Before we leave Taffy’s, I’d just like to take a moment to direct the limelight away from the bigwigs of the bowls world and highlight someone to whom the Taree City Bowling Club meant everything. 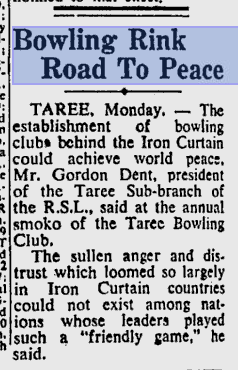 It’s only short, so have a read of the story of Bert Kroon, avid bowler and Tareean (Tareek? Tareealist? ), and then stop and think about the Bert Kroons out there right now who rely on this rapidly dwindling sport. Certainly the most freakish element of my visit was the discovery I made out the back. 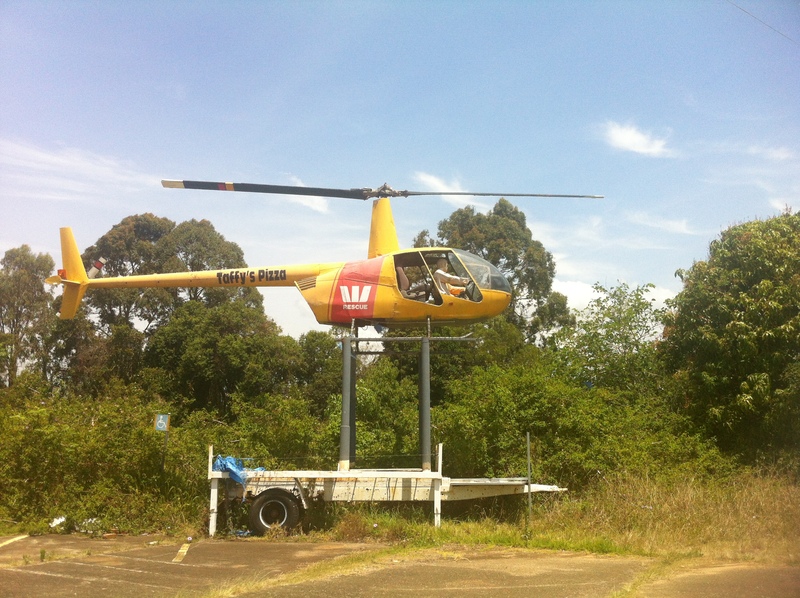 Where the club backs onto the uh…scenic and aptly named Browns Creek, someone had decided to position this Westpac rescue helicopter. Why? How did this happen? Who insisted upon it? Was it Taffy, or did Taffy just slap her own name on the tail when she took over? 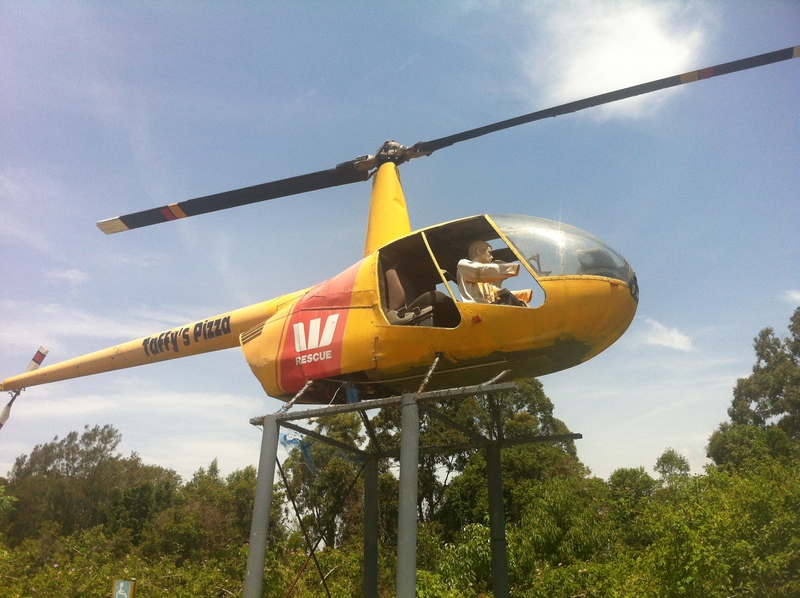 Who went to the effort of sticking the dummy behind the controls? Why is it so small?